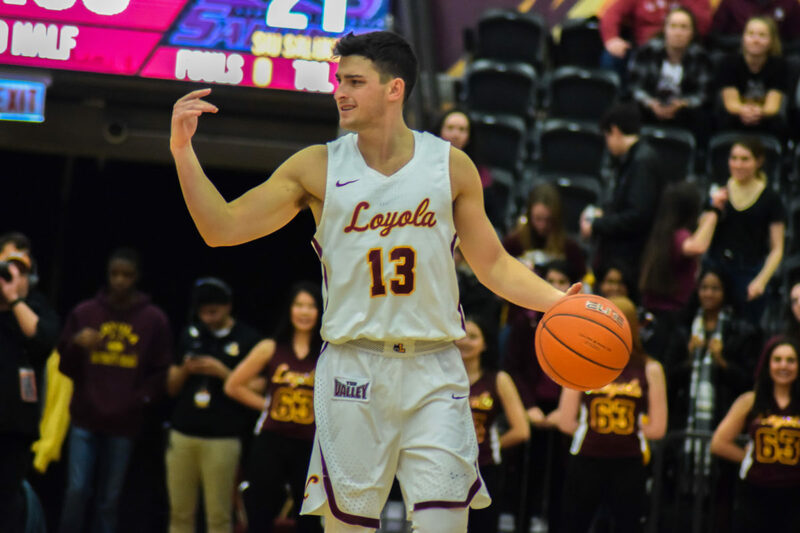 Nick Schultz | The Phoenix Loyola redshirt senior guard Clayton Custer calls out a play against Southern Illinois. Phoenix men’s basketball beat writer Tim Edmonds joins sports editors Nick Schultz and Abby Schnable discuss how the Ramblers recovered from a 70-35 loss to Missouri State and take sole possession of first place. Later, Phoenix women’s basketball beat writer Lu Calzada joins the show to discuss where the program sits through seven Missouri Valley Conference games.